Kayaking is a watersport that involves paddling using a double-bladed oar and a small boat known as a kayak. The boats come in a variety of sizes and types, depending on their intended use, but most kayaks feature an enclosed deck that covers the legs. The boat sits low in the water and usually only accommodates a single paddler, but tandem kayaks hold two people and some boats hold three people. Related: What is the Difference Between a Canoe and a Kayak? Kayaking is a versatile sport that can be done in practically any body of water and is easily pared with other activities, like camping or fishing. Different kayaks are designed to handle specific conditions. Some are made for taking on white water courses, while others are built for racing and then there’s everything in between. 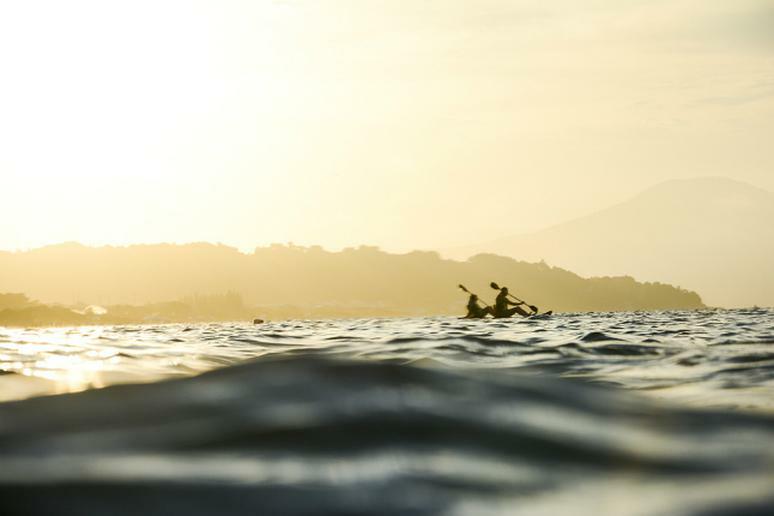 Rivers, lakes, oceans and even surf zones are popular spots for kayaking and due to the different types, everyone from beginners to experts can enjoy the sport. The beginner-friendliness and the epic challenges are a few of the reasons people kayak, but there are several others. Whether you’re looking to take in the sights in a distinctive way or you’re looking to get a low-impact workout, kayaking has something to offer everyone. If you’re looking to try kayaking for the first time, it’s best to rent the equipment. The only gear you need is a kayak, a paddle and, in some places, a life jacket. If you’re going camping or fishing, you’ll need other supplies and if you plan on bringing things with you, a waterproof bag is a good idea. In flat-water kayaking, the learning curve is more than manageable, allowing most people to have fun on their first day out. As you progress there are interesting facets of the sport challenging enough to keep even the most advanced paddler interested. Options for expert kayakers include entering races, completing multi-day trips and tackling white water.